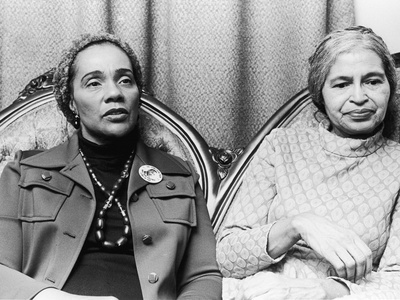 A statue of our Soror, Rosa Parks will be dedicated in the U.S. Capitol TODAY. Soror Parks has been honored previously in Washington, DC with the Presidential Medal of Freedom in 1996 and the Congressional Gold Medal in 1999, during the Clinton administration. This honor, however, seems different. Soror Parks’ statue will be displayed for U.S. residents and visitors for years to come. Soror Parks’ refusal in December of 1955 to give up her seat on a bus to a white passenger led to a citywide bus boycott in Montgomery, Alabana, and encouraged nationwide efforts to end segregation. She is known as one of the mothers of the Civil Rights Movement. Soror Rosa Parks is an honorary member of Alpha Kappa Alpha Sorority, Inc.
What an honor for Soror Parks and all members of Alpha Kappa Alpha Sorority, Inc! Watch the ceremony LIVE today at 11am EST here.